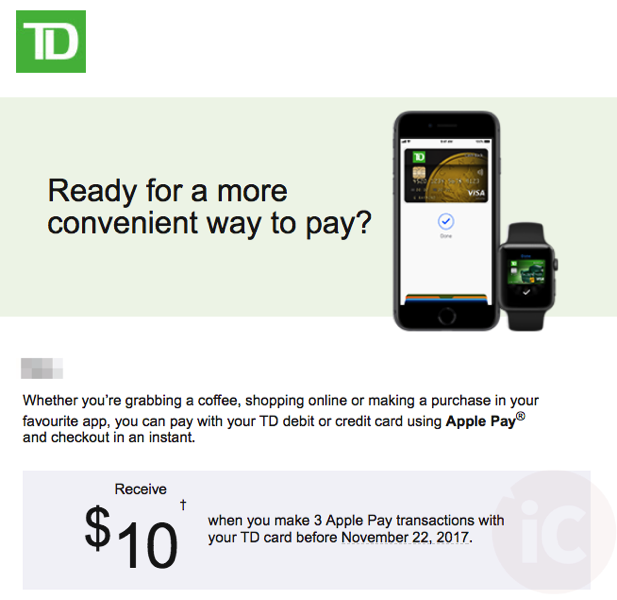 TD Canada looks like it wants to encourage customers to use Apple Pay, by offering them $10 for free. In an email blast sent out to select customers this morning, the bank says if customers make “3 Apple Pay transactions with your TD card before November 22, 2017,” they will receive $10. Back in 2015, TD Canada accidentally leaked an Apple Pay web page on the company’s website, only to launch in Canada a year later alongside other big banks in Canada. 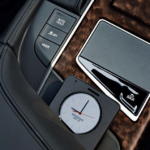 Yesterday, Apple announced Apple Pay expanded to Sweden, Denmark, Finland and the United Arab Emirates. Did you receive this email from TD?